You must make reservations at least 5 minutes in advance of the time at Blackstone Steakhouse. Blackstone Steakhouse features a dazzling array of cuisine, from prime dry aged steaks to amazing sushi and fresh seafood. 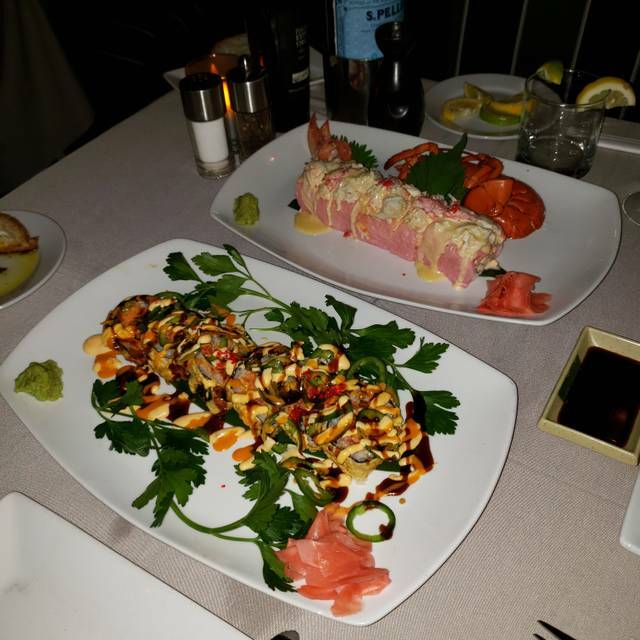 We also have our own authentic sushi chef, a fabulous raw bar and award winning wine list. All complemented by spectacular decor with a great bar are and ambient outdoor lounge that invites great times. Service was great, it was as if they knew us for years. Everything was on point! The food and the drinks were outrageous as always. Service was impeccable. We’ve been here numerous times and will definitely be back again. Great steak, great service and a great atmosphere. Very disappointed. Swordfish paper thin. The waitress said she never saw it that thin! So tough we hit it with a knife and was like rubber. Returned for filet. The mashed potatoes were cold. Was not my first choice of steakhouse, unfortunately no reservations available at Tellers. Great experience and complementary birthday desert was great. Thank you Blackstone. Blackstone does a great job of providing a beautiful location with excellent food. The staff is well trained and takes great care in treating you very well. Management is always around and checks on each and every table to make certain you had a great experience. 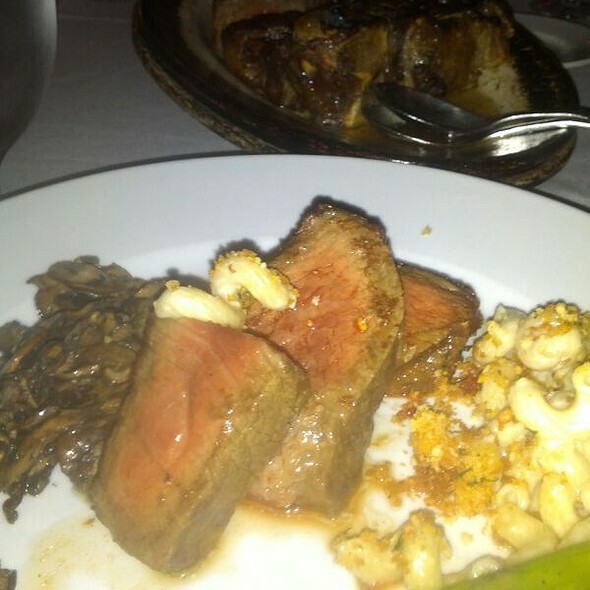 Although as most steak houses are, it is quite pricey, it is a great experience all around. The only thing that would make it better would be if they started to offer half-sized sides as an option. A lot of steak houses are now doing this and it is great for smaller groups of 2-3. I would highly recommend Blackstone to anyone. The staff was attentive and friendly. Steak came out undercooked to our order, but they fixed that, of course. 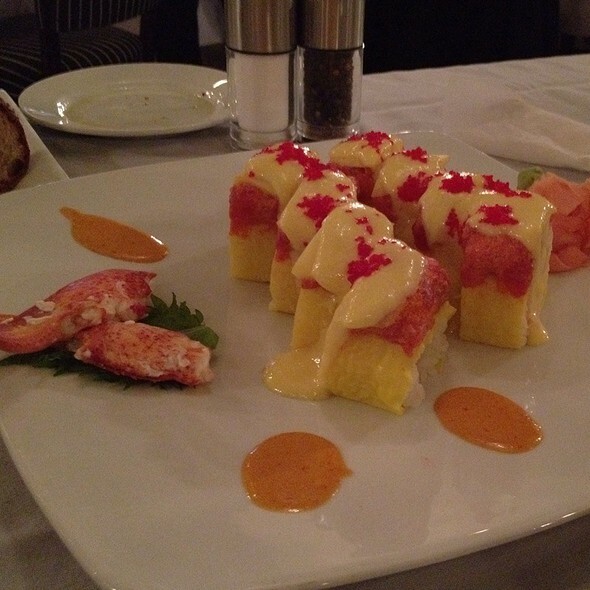 The food is always great at Blackstone. Perfect Birthday celebration and the dessert was insane. As usual, everything was prepared to perfection. Three in the party ordered the filet and each came out a perfect medium rare. The other order was for Sea Bass and it also was described as absolutely delicious. Service always is very professional. These are the reasons we keep returning. We had been coming here fairly regularly at one point and noticed a change in quality both in service and food. It was my husband's birthday and his choice. We had a $300 dinner which I don't mind paying if you get what you paid for. Blackstone is off our dining list. Food was excellent as always. Only objection is that service was a little fast. Banana cream pie delicious! 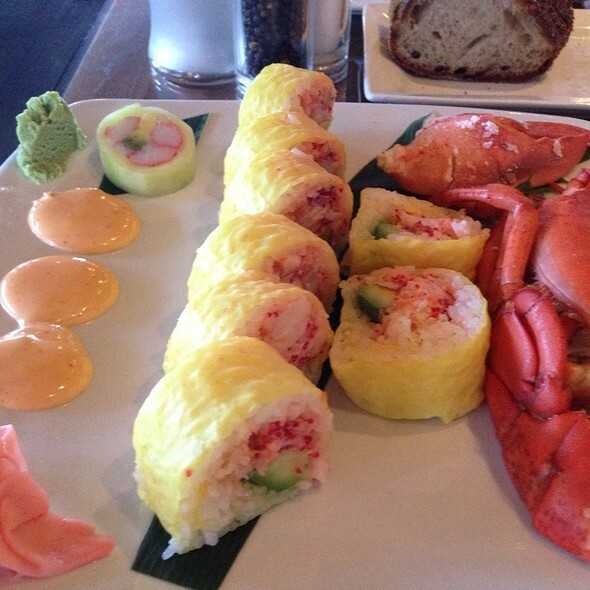 Sushi rolls are always great. The steak is never as good as some other steakhouses. Something is lacking. We also had the sea bass and that was smothered in unnecessary sauce. So much better when i’s simple. Great food, great service always a fun night out! My favorite restaurant. Each experience is better than the last. Having taken several large business parties here I can only say that we’ll be back from minute one they make your party feel welcome and know how treat a guest. I’ve been to the restaurant a fair amount and have never experienced the bad service like we did this evening. We barely had anyone pay attention toon to us and barely came over to check. They even forgot one of our apps. It was very concerning considering the price we paid. Have had better lunches. No pasta appetizer special today which I always love and made some bad choices. Wouldn’t recommend the Lobster Roll. The sushi and meat were the highlights as always. Staff is extremely attentive, efficient and professional. They handled our business lunch perfectly and timed everything nicely. The wine selections are well curated and served professionally as well. Excellent experience! It’s Blackstone. A top tier steak house, expect the best every time, and they deliver. Not the place to go for a cheap meal, but you get good value for the $ you will spend. Always recommend it. Skilled wait staff! Never had to ask for anything. They attended to table well, predicted when drink refills were needed, brought food just as ordered and cleared empty dishes all while never making us feel rushed. Our wait staff was wonderful, however experience was underwhelming. Food was ok and verrrry slow to come out. Definitely will not be back. 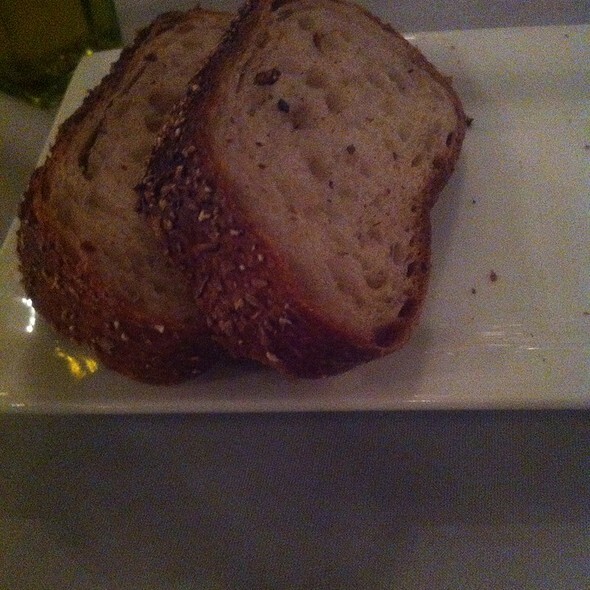 Have been to sister restaurants Rare650 & Insignia which were wonderful. 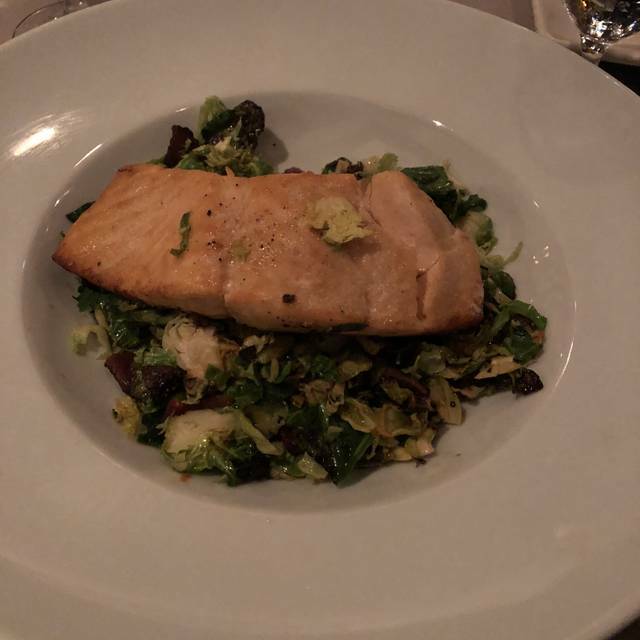 Service at Blackstone was extremely rushed (and that was even with my starting the meal by specifically asking the courses not overlap one another). Didn’t feel genuine, servers seemed like robots. Food left much to be desired, no real flavor in the waygu sliders or filet mignon. Mac and cheese barely tasted like it had cheese in it. Had gone to celebrate a special person’s birthday and was very disappointed. Very expensive for the quality of food and service given. Perfect table to celebrate our anniversary. Service was fantastic! Food was deelish! Innatentive service. My apologies to the staff for interrupting their afternoon. I was looking forward to dinner at Blackstone to celebrate a new business relationship with a large client. I couldn't have been more disappointed! The steaks were tough and lacked flavor, the side dishes were small and luke-warm as opposed to HOT and there were too many servers to know who was the head waiter. When i told the manager of my disappointment he looked at me like I was crazy. I assure you the quality of the food was not worth the $700 bill for 5 people. For a place requested so enthusiastically by my client it was a very sub-standard experience. Birthday celebration with a party of 10, all enjoyed. 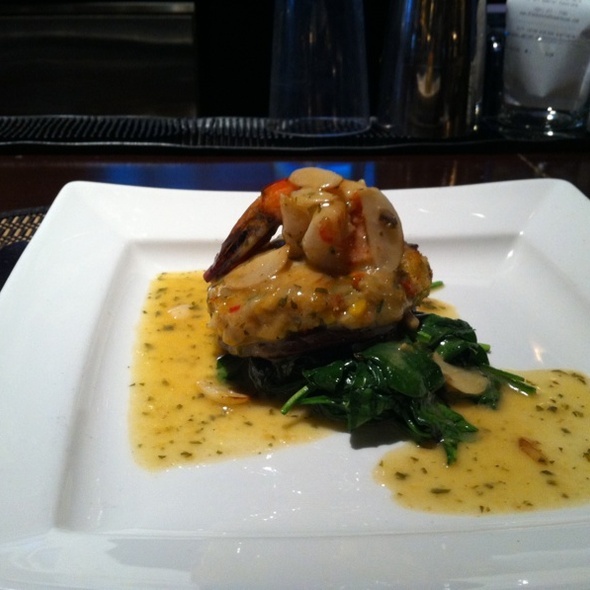 Seated promptly, food excellent with exceptional attentive service. Always a good choice for a special event or everyday dining. 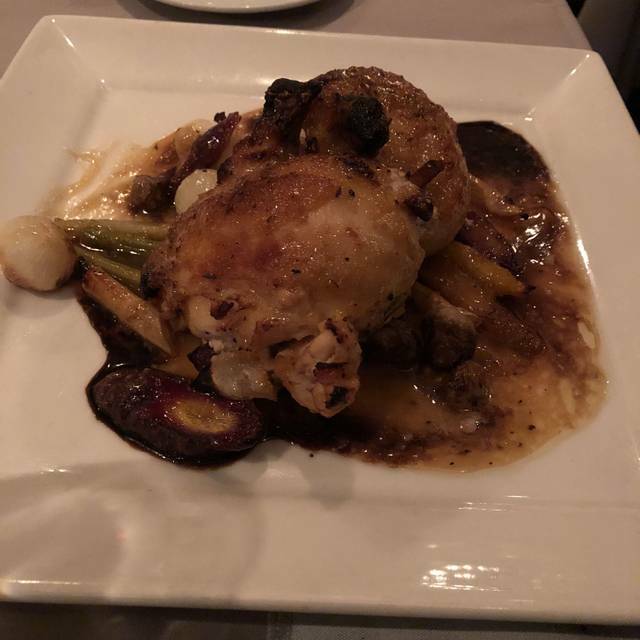 After hearing how amazing this steakhouse was from 2 of my closest friends and knowing the quality of any Anthony Scotto restaurant- it was beyond disappointing when the experience just didnât meet the recommendations. I was hoping to have a romantic evening with my wife at a beautiful place and it fell short. Not only did I have reservations and have to wait an additional 45 minutes, I felt the attention of the staff was lacking. When my dinner order was placed - I realized I had ordered the wrong item. I quickly asked my server to change my order and she said it was placed already. Had this been a steak order I might have understood but risotto? We did order dessert and it was fantastic. All we expected. However, we did ask to have what we couldnât finish wrapped up and later found out they were discarded. Although they did make us new desserts to take home it was an uncomfortable experience that took 25 minutes. The food was delicious and the ambience is nice but when you pay top dollar - you expect top service. Pros: Nice place, Service was great! sides and apps were good. Cons: Steaks no big deal! Cuts are not the best. I shouldn't have to order a $280 dollar Kobe Steak to get a good cut of meat! They say 14oz Filet Mignon? more like 8oz! 26oz Rib eye? more like 20 oz, Thin cut and chewy! 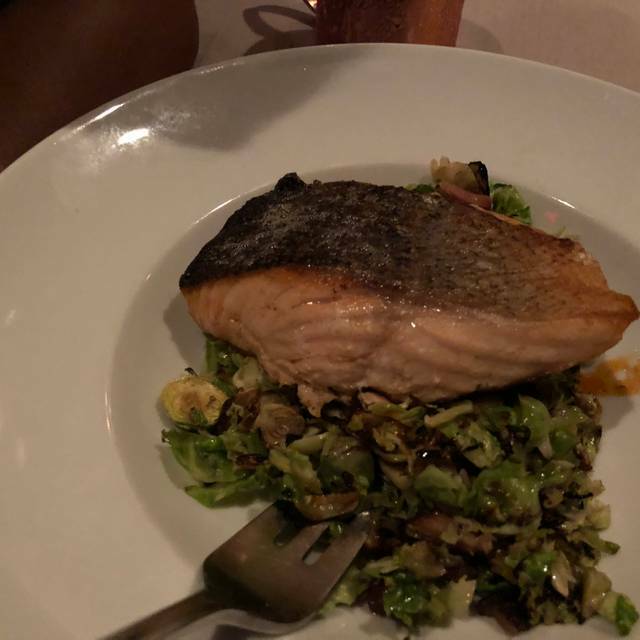 Salmon was dry then manager brought a new piece and it was raw! They tried to make us happy though and removed the charge for Salmon and presented a plate of different desserts for my Wife. Nice place but the food is Meh, maybe an off night? George Martin Strip Steak in Great River and Vintage Steak house in St. James seriously blows Blackstone away in food quality! I take my family out a lot and for the money Blackstone charges for their food I SHOULD GET MUCH BETTER! I have had better meals at Blackstone in the past. Last night I was very disappointed in food quality. Run of the mill steakhouse...service was ok but not memorable. Food was good and pricey. Made a birthday very special! Accommodated a dessert. Great service. Delicious food.